Yes, Mahindra Two-Wheelers got off to a rather shaky start with the extremely-forgettable Stallio. Thankfully, the company learned its lesson and junked that bike. It followed up with the more credible Centuro, but really it is the scooter side of things that has kept the brand afloat. Now even Mahindra knows that is never going to be enough. It is working on a slew of new models for motorcycles in the 100, 125, 150 and 200cc space, and indeed looking at the feasibility of integrating the Peugeot scooters into its portfolio for India (as premium offerings). But the brand needed a flagship - a defining product that screams engineering capability, style, prowess and technology. The Mojo was first shown to us as way back in 2011, when Mahindra began its two wheeled innings. A lot has changed on the bike since. Thankfully. What we are getting now is closer to the 300cc bike showcased at the 2014 Auto Expo. The Mojo has been designed to attract, alright. It looks big, mean and very macho. And yes I saw a rather yummy Mojo dressed in Mahindra racing colours with excellent paint finish - that I do hope makes it to market! But in typical Mahindra fashion some bits are over-styled, especially the family look of bringing in the use of gold instead of chrome - like the Centuro. But that is where all similarities end. The Mojo is leagues ahead on refinement, engineering and rideability. The bike feels smooth, quick and has the right rumble too. 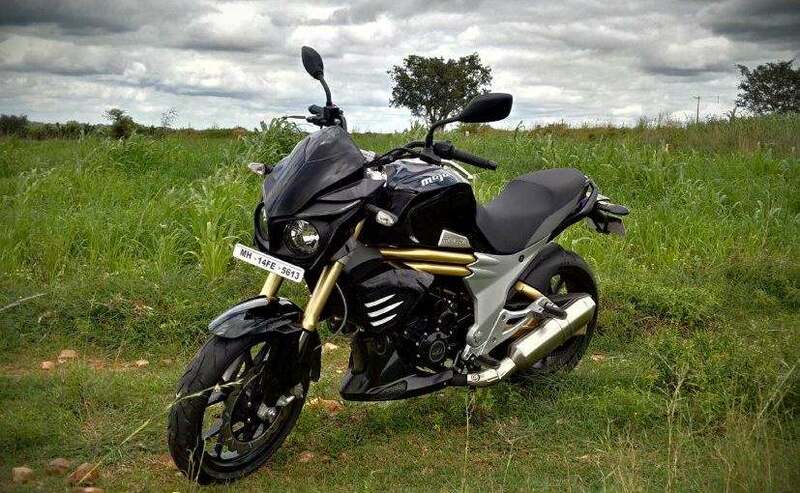 When I first rode it about 3 months ago, I was immediately impressed by two things - the level of sophistication that Mahindra has been able to achieve and also its ease of use in chock-a-block city traffic. The bike feels nimble despite its obvious weight, and accelerates out the blocks quickly too. The bike's peak torque of 30Nm comes in just past 4500 rpm and you get a great cruising characteristic from the bike - even above 100Km/h. The Mojo's engine has a harmonious, almost too-smooth feel, with no harshness or vibration even when taken past the three digit speed mark. Where Mahindra has scored is the bike's character - one of sheer confidence and refinement. There are many critics who bashed the company for delaying the Mojo for so long. I say that delay has come good, as it has ensured that Mahindra got it right, went back and got it even better. And that is why I believe the Mojo completely fits the bill on being that very capable flagship I was speaking of. Mahindra has been clever to make sure it hasn't skimped on sourcing the right parts - even the Pirelli tyres on the bike I rode were the right choice, as they give the chassis the precise grip and braking capability it needs. 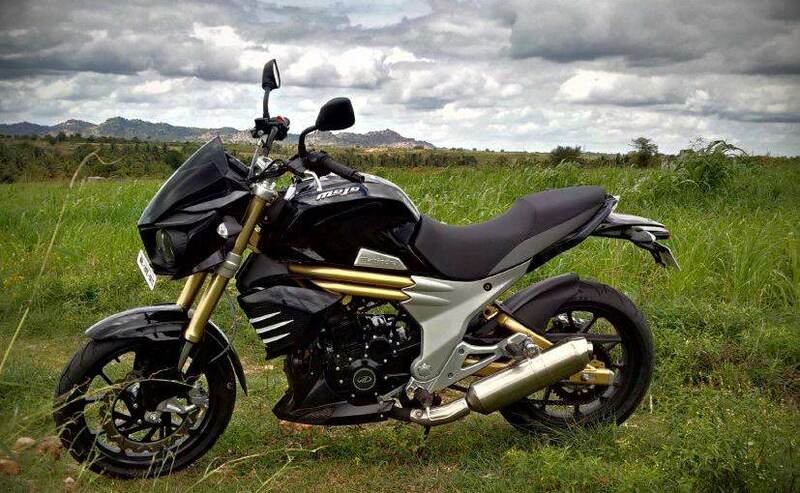 The Mojo is a tourer and comes at a time when the Indian buyer has been made aware of such a segment. Bajaj will take a crack at it next year with the CS 400, but Mahindra gets a good lead on this space. The KTM Duke bikes will be the obvious rivals, though I do like the fact that the Mojo has a very distinct character, with no true rival in that sense. It was too late in the development cycle to integrate the new Peugeot two wheeler R&D folks into the Mojo project. But the French arm did help with tweaking the styling and finishing on the product - especially its very racy and definitely oriental name logo. The way Mojo has been finished on the fuel tank, with Mahindra taking a subtle position lower on the bike body - was also a suggestion that came from that team. And I have to say the lettering, its finish and the overall branding on the bike, with no unnecessary decals either - make it look very premium and very fresh. Mahindra has had a few make or break chances in the past, and to be fair hasn't blown all of them - but that was in the 4 wheeler space. The Mojo will finally get the critics of Mahindra's two wheeler strategy to shut up, or at least take a break! It is a clever, sensible and well executed product. While that may seem like a repetitive refrain from me now, here's what it comes down to - price. Mahindra will be very smart to completely blow the competition out of the water if it launches the Mojo close to Rs 1.5 lakh. That though seems highly unlikely, with the figure Rs 1.8 lakh doing the rounds on the grapevine. But I believe that it can still become a blockbuster if Mahindra stays below Rs 1.7 lakh, since the rivals are within kissing distance of the 2 lakh mark anyway. So as always any final judgement rests on Mahindra's pricing strategy. But on product - over-styling notwithstanding - you can give team Mahindra some long needed applause. Take a bow folks!